Everyone at Morpheus Theatre would like to wish all of our loyal volunteers, patrons and supporters a happy and healthy 2016. Just a reminder that the Morpheus Office will be closed for most of Dec 23 – Jan 3. The office will be open on Dec 30 ONLY. Tickets will still be available for purchase online. For rental questions, ticket exchanges and flex pass bookings, please leave a message at 403-246-2999 or email tickets@morpheustheatre.ca. Recruiting new volunteer FOH managers to join our FOH team! We are recruiting new FOH managers to join our FOH team for our shows throughout 2016. Typical commitment is 2 to 3 performances per production (with the option to opt out if necessary of course!) We will be providing training on Jan 9 or 10 depending on availability, along with refreshers before each show! Our new volunteers will get their feet wet with our upcoming production, The Dinner Party, Jan 22 – Feb 7, 2016, in the Joyce Doolittle Theatre at the Pumphouse Theatre. The Front of House Manager takes the lead in the box office selling tickets and works with the Stage Manager to make sure the evening runs smoothly. The Front of House manager needs to remain in the lobby for the duration of the show. Of course, you also receive 2 complimentary tickets for volunteering. We are also looking for Lead Ushers to help organize and train ushers on the performance days. 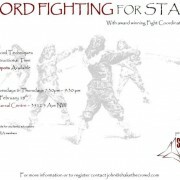 Please contact me at the Morpheus office (403) 246-2999 or tickets@morpheustheatre.ca if you are interested in helping. 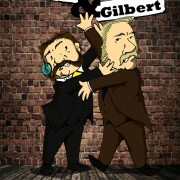 Morpheus Theatre is pleased to announce the cast of Ken Ludwig’s Sullivan & Gilbert. Thank you to everyone who came out for the auditions. 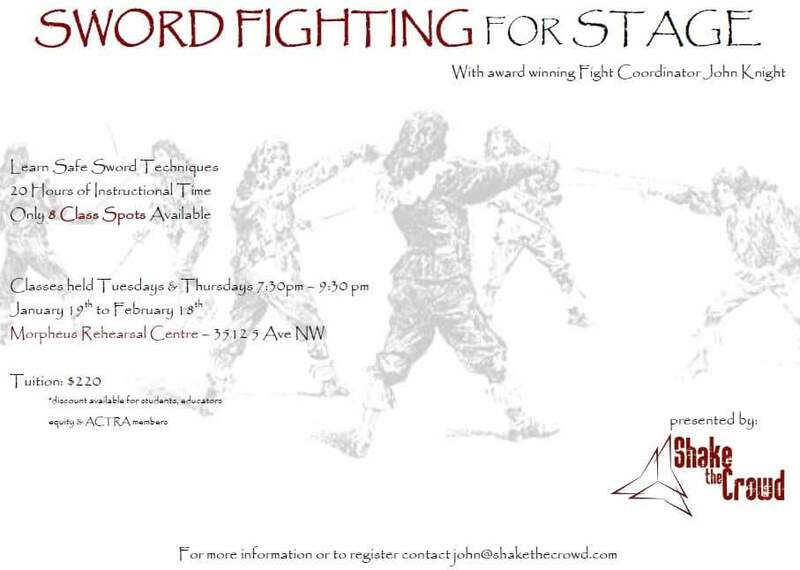 Sword Fighting for Stage with Award winning Fight co-ordinator, John Knight.